From our travels around America, The UK and Europe, home DVDs of the local architecture, people, places and things! Whether you are an armchair traveler, or you are planning your next journey, these Travelogue Videos will suit you fine. Let's Visit Belfast VOD Free with Prime! Let's Visit the Dublin Liffey River VOD Free with Prime! Las Vegas Fremont Street Experience VOD Free with Prime! Walk Along the Las Vegas Strip VOD Free with Prime! Visit Liverpool Albert Dock VOD Free with Prime! Let's Visit Prague Pt. 1 VOD Free with Prime! Let's Visit Prague Pt. 2 VOD Free with Prime! 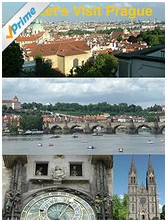 Let's Visit Prague Petrin Tower VOD Free with Prime!